We've compiled the most notable improvements and new features below. Participants' previously correct Assignment answers are optionally copied when re-attempting an Assignment. We've improved the look of the Course home page. 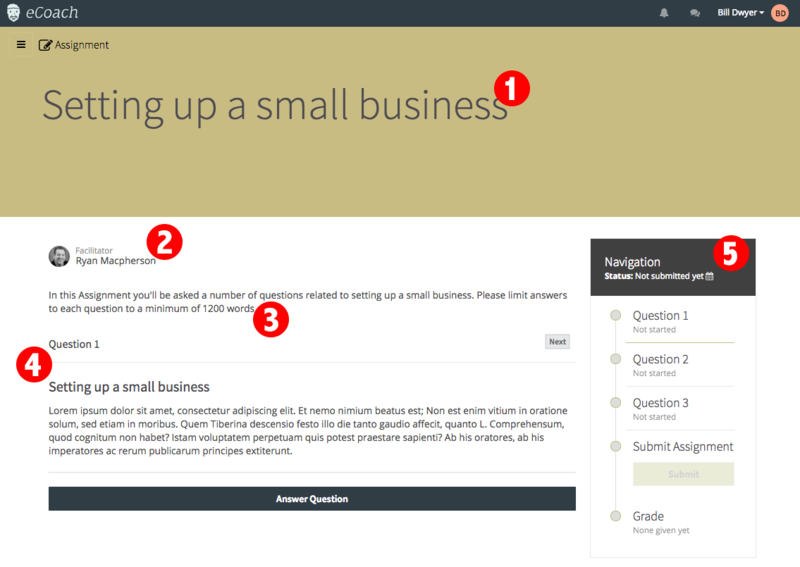 Courses, Lessons, Quizzes and Assignments now have a dedicated colour on the customise panel. We're progressing on our notifications system; we hope to have something for you on the next release. We've made major changes to the database architecture that we hope will help with performance going forward. Coassemble Explore will be live soon on the Coassemble website; we will let you know when it is up. We now automatically generate image thumbnails on the Assignment grading page to improve performance. You'll now get a fancy new lightbox to display all of your Participants' uploaded images and documents. We've included the 'Enrol' permission as a Global Campus level permission. We've clarified the permissions a facilitator can have on a Course. You'll now be warned if you ask to delete a Lesson or Quiz that is a module in at least one Course. Submitting an Assignment now allows participants to continue without Course completion. We have fixed a bug where Learning Outcomes falsely appear editable when filtered by category. We've fixed a bug where Participants could submit Assignment responses that were completely blank. We've fixed some minor display issues with creating Lessons and Quizzes when in list view and switching between them. We've fixed that annoying bug where two questions in a Quiz were highlighted at the same time. We've fixed the little ticks and crosses that were missing from an emailed copy of a student's Quiz results, and made sure their name is on it. The Quiz Results screen now uses the correct terminology when you select competency style grading on the Course settings.